Discover nature and learn about life sciences in the fun and engaging atmosphere of a sustainable urban farm and learning garden. 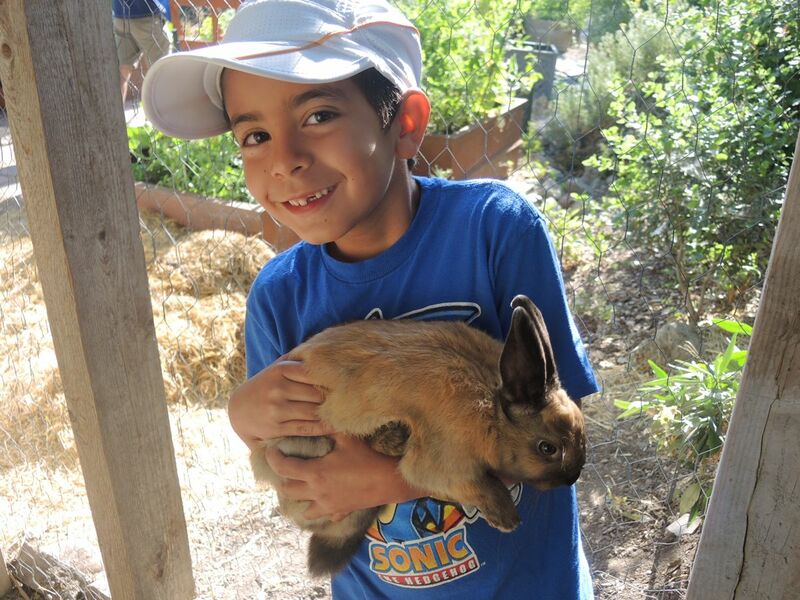 We welcome all children ages 6 to 12 to join us in our garden to discover the natural world around us. Our teaching garden will be full of activity next summer. 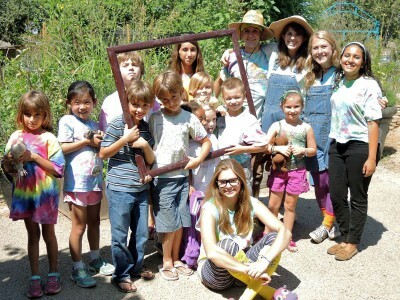 We have experienced teaching docents and college student interns who will be working in our garden daily. 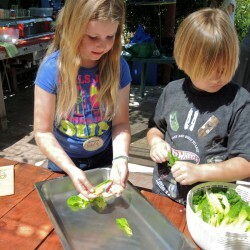 They are involved in learning about edible and native plants, designing gardens, and developing school curriculum. Our Nature Discovery Camp is a part of all this activity, so students who attend can absorb the energy and the knowledge from this talented group of people. This program is all part of our commitment to design and install teaching gardens in over 9 public schools over the course of the next year. Proceeds from our summer program go directly to our non-profit organization, the California Native Garden Foundation, helping to make our beneficial program a reality in our public schools. We will do all kinds of great stuff, like harvest food, prepare recipes, gaze at really small things, play with some wriggly creatures, talk about how cities of the future will work, and generally have a lot of fun. 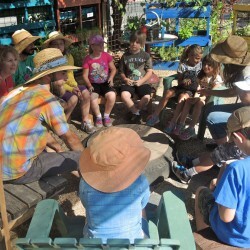 The Environmental Laboratory for Sustainability and Ecological Education (ELSEE) located at the Middlebrook Center in downtown San Jose has been teaching school children for years in our garden area. Our courses fulfill the California teaching requirements for life sciences. Come join us for an unforgettable summer experience! Dylan finds a furry friend. Brendan, Becca and Ojan welcome the new camper at the start of Summer Camp Day one. Gavin and Astrid make a yummy salad. Our classes meet every day Monday through Friday. 9am to 12pm, Garden mornings, growing food and more: Every morning, we will start the day fresh in our garden by learning about a new set of food producing plants. 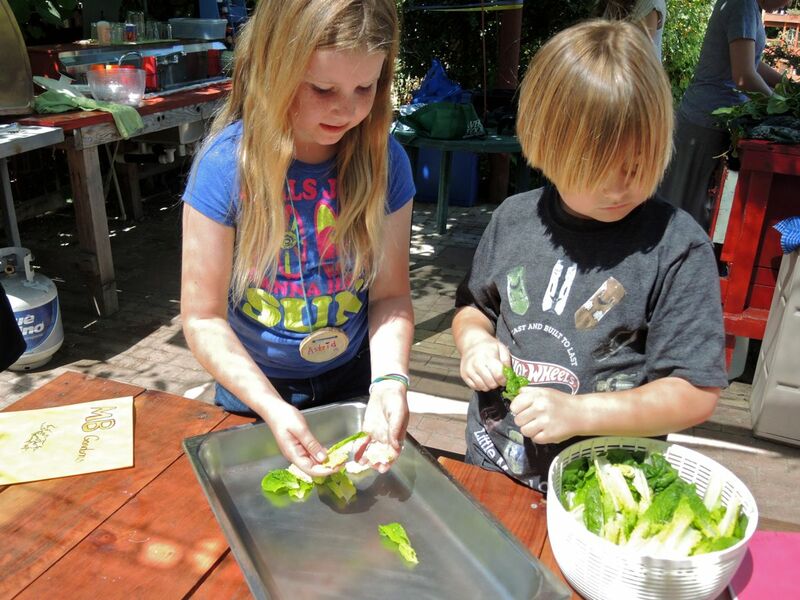 Students will see how the plants grow, understand their scientific classification, learn the nutritional benefits, and help prepare them into a meal. 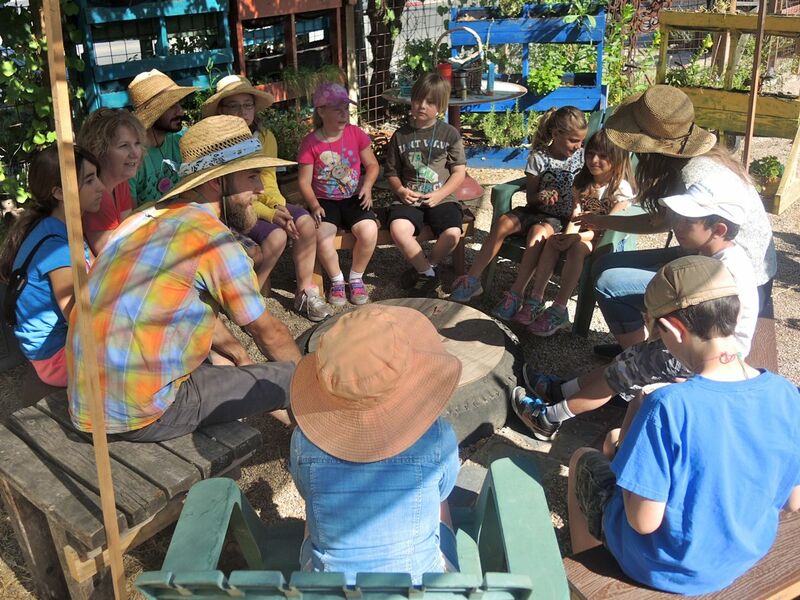 Throughout the morning, campers will engage in other learning activities around the garden, such as collecting bugs, planting seeds, tending the fish, feeding the chickens, harvesting snails, drawing, journal writing, story-telling, and much more. 12 to 12:30pm, Garden lunch: We take a break from our busy morning to enjoy all the delicious things we harvested and prepared in the morning. Students may enjoy this lunch from our garden or bring their own sack lunch. Lunch is included for all garden mornings campers or may be purchased separately for $10 each day for afternoon only campers or parents. Children may also bring their own sack lunches. 12:30 to 3:30pm, Summer afternoon activities: The afternoon is project time. Each week will be themed with new garden projects and activities that will guide children through the garden and teach them about all of the complex aspects of the world around us. 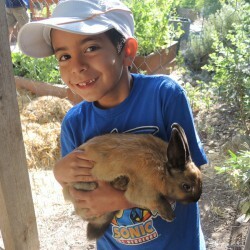 Through the summer, we will take care of chickens and fish, build aquaponics systems and much more. In addition we will have lots of fun afternoon activities, games, and just have a great summer in the garden. Pick the weeks and times you like. If you would rather choose specific days, we offer Daily Drop-In Registration based on space availability. Weekly Themes: In both our morning and afternoon classes, we will incorporate a new topic of discovery each week. Week One, we will look at life on a planetary scale, learning about the water cycle and climate, the earth’s history, and what Life is. Week Two, we will look at ecosystems, how they function, and how organisms interact. Week Three, we will look at individual organisms, what their needs are, and how all of their parts interact. Week Four will focus on the homes and habitats of plants and animals, including humans. Week Five, we will look at the microscopic world of microorganisms, cells, molecules, etc. Weeks Six through Nine, we will zoom back out week by week to organisms, homes & habitats, ecosystems, and finally back to the planetary scale once again. As we examine each scale of life, we will see it from the perspective of the previous week. So, for example, during week 3 we would look at organisms as parts that compose an ecosystem, and when we revisit organisms again in week 5, we can focus more on how organisms are composed of cells and structures. New material is covered every day, so your child is welcome to spend one day, the whole summer, or as much time you would like. All classes are limited to 10 students per age group/ 20 students total. Classes meet 5 days a week (M-F) and can be repeated through the summer. (No classes July 3 and 4.) Daily drop-in and extended care is available. Register online at middlebrookcenter.com or call 408-292-9993. Scholarships are available. For eligibility, please inquire. Free parking available at St. Leo The Great School around the corner on Garland Street or at The Bread Basket/Health Trust on Garland. HELP US SPREAD THE WORD: Download and print out our flyer, poster, and other materials. You must teach your children that the ground beneath their feet is the ashes of your grandfathers. So that they will respect the land, tell your children that the earth is rich with the lives of our kin. Teach your children what we have taught our children, that the earth is our mother. Whatever befalls the earth befalls the sons of the earth.